In today’s world, where people are moving towards a cashless environment. We are emphasizing more on the new ways via which you can transact and purchase goods online. Cashless ways like net banking, card payment are some of the most popular. Apart from being popular they also have some drawbacks like the risk of losing the confidential card details and transactional fees. With the help of this Marketplace wallet system, you can easily overcome these drawbacks as it serves as a payment method with zero transactional fees and no need to add card details while making transactions. This will not only faster the process of payment but will also ease the process. This module is an add on of Magento 2 Marketplace Module. To use this module, you must install the Magento2 Marketplace Module first. Why you need an e-Wallet for your Marketplace? Convenience is one of the chief motivators that have lead us to discover more such online transactional methods. As it not only saves us from standing in rows of ATM but also reduces the need to carry a bundle of the plastic card each time you make a purchase online. 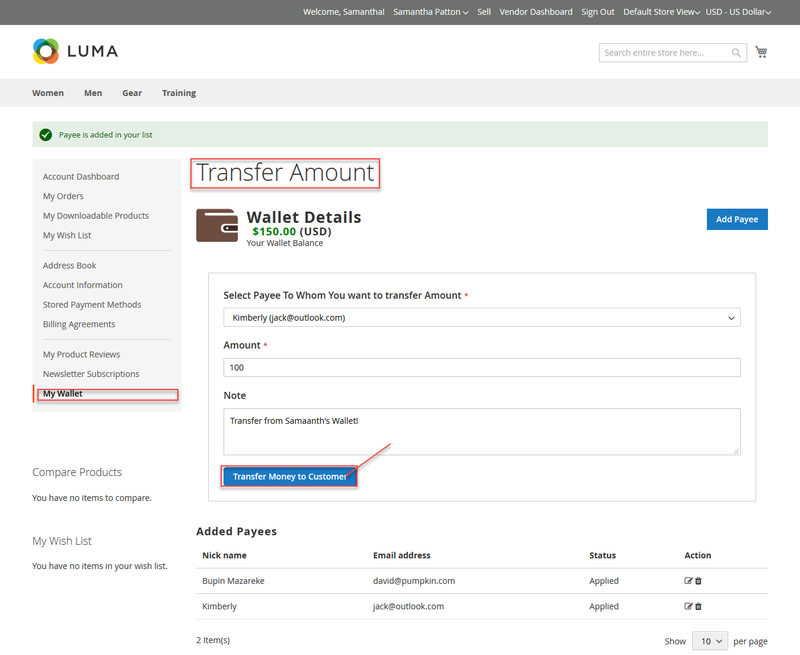 With this module, you can easily set up your e-Wallet. Apart from being easy, it is readily acceptable by various vendors over the marketplace. This makes it even convenient for the customer to use it for any product over the website. Unlike other payment methods( like Cash On Delivery, Money Order, etc). The e-Wallet Payment is faster as it automatically reduces the amount from the wallet. This will help the customer to place the order from anywhere without the hassle of adding the card details or remembering long passwords for net banking. The module offers split payment through which the amount automatically gets distributed and transfer to the respective wallet. 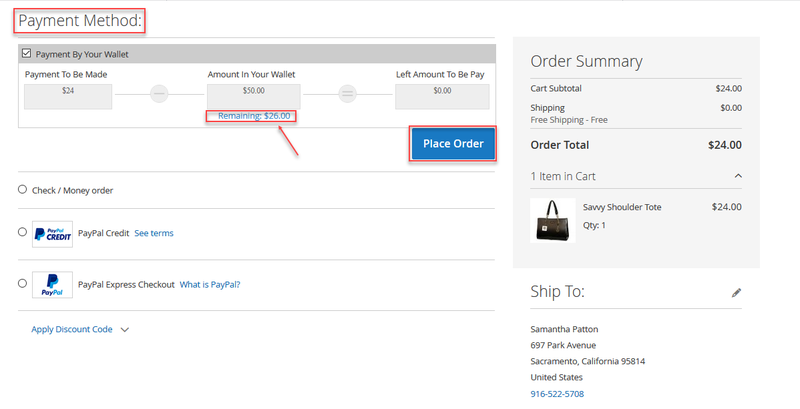 Making faster checkout and real-time update of the amount, after the transaction is processed. Unfortunately, if your credentials get leaked of the website. Your e-Wallet amount can be used by the other for the transaction right? Wrong! with Marketplace Wallet system, you can configure the transaction process which involves authentication. 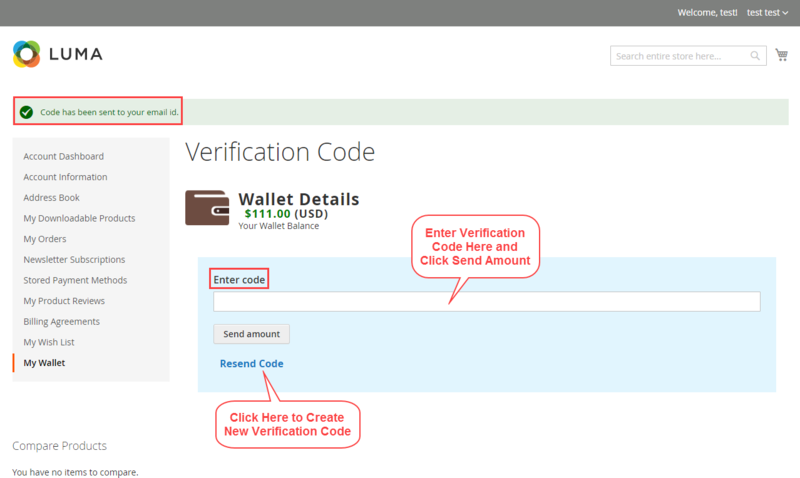 The transaction process will get completed only after the verification code has been entered which is sent to your registered email address with the validity duration. This means your transactions will be much safer and secure. In an eCommerce website, where the competition is top notch. Having an extra hand helps the sellers of the website to boost up their sales. Cashback is among those extended approaches which gives the customer a sense of achievement or getting paid for shopping. This increase the sales as the cashback leads to more money in the wallet which results in increased purchases. Having a Marketplace website, where multiple vendors sell their products. Those Payment methods should be available which are accepted by all the customers and vendors. E-wallet provides uniformity, as the wallet amount can be transacted back to the bank account by the customer. If the customer generates a refund request, the transaction process takes 3-4 working days for the amount to get reflected. But with the help of this module, after the seller refunds the amount. It gets reflected in the customer’s wallet directly without any processing delay. This leads to higher customer satisfaction and increases sales rate. As the amount refunded back into the account will allow the customer to purchase goods. Note: If you require the eWallet for the default Magento2 then you can use our Magento2 Wallet Extension. If you have any query regarding the module, please feel free to revert us at support@webkul.com.